Figure 8-41. 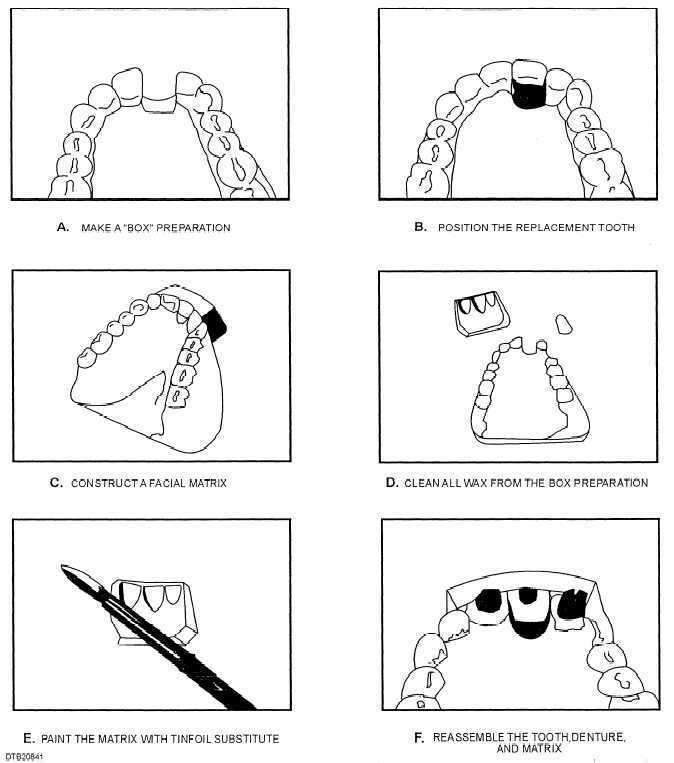 - Anterior denture tooth repair steps. These factors will, of course, dictate the time allocation and date for which you should reschedule the patient. Each new prosthodontic patient requires an evaluation that may include complete oral radiographs. The dentist uses the radiographs to diagnose cysts, residual roots, unerupted and impacted teeth, periodontal conditions, caries, bone density, or toher conditions requiring restorative or surgical correction before prosthodontic treatment is started.